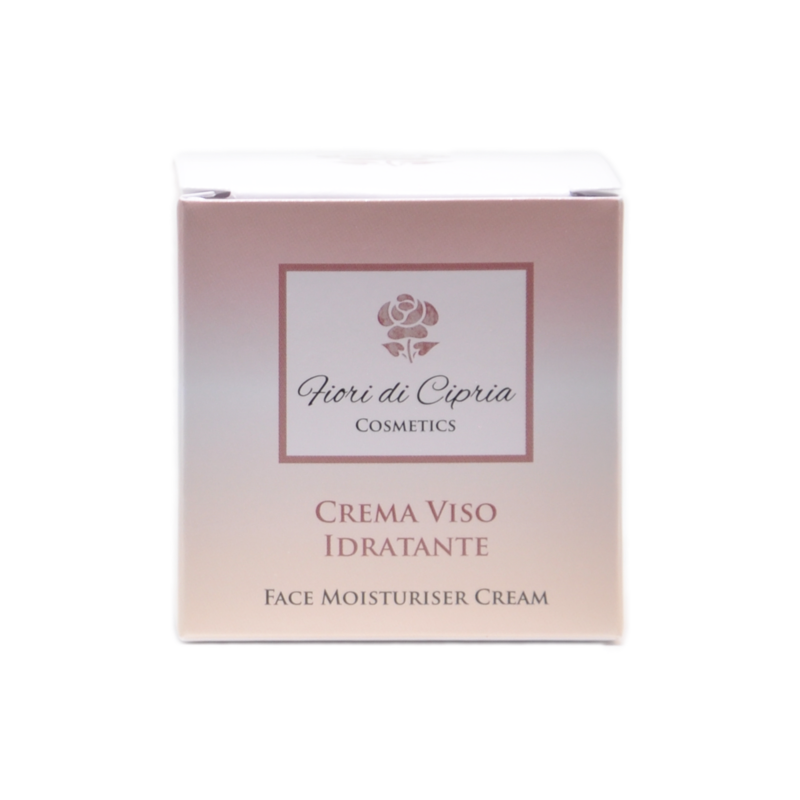 Face moisturiser cream, it prevents dehydration, wrinkles and loss of skin elasticity. Apply every morning and evening on clean and dry face. For a deeper action apply with circular movements from the inside to the outside of face. Aqua, Isodecyl Neopentanoate, Glycerin, Pentylene Glycol, Elaeis Guineensis Oil, C12-15 Alkyl Benzoate, Ethylhexyl Methoxycinnamate, Dicaprylyl Ether, Glyceryl Stearate, Cyclopentasiloxane, Octocrylene, Polyglyceryl-10 Pentastearate, Stearic Acid, PEG-100 Stearate, Behenyl Alcohol, Dimethiconol Behenate, Palmitic Acid, Butyl Methoxydibenzoylmethane, Caprylyl Glycol, Fagus Sylvatica Bud Extract, Acacia Seyal Gum Extract, Quercus Robur Root Extract, Acetyl Glucosamine, Dimethicone, Parfum, Lecithin, Sodium Hyaluronate, Tocopheryl Acetate, Isohexadecane, Sorbitol, Retinyl Palmitate, Hydroxyethyl Acrylate/Sodium Acryloydimethyl Taurate Copolymer, Phenoxyethanol, Propylene Glycol, Cyclohexasiloxane, Dimethicone/Vinyldimethicone Crosspolymer, Dipropylene Glycol, Xanthan Gum, Carbomer, PEG-4, Ceramide NP, Sodium Lauroyl Lactylate, Tocopherol, Phytosphingosine, Acrylates/C10-30 Alkyl Acrylate Crosspolymer, PEG-4 Laurate, Glycine Soya Oil, PEG-4 Dilaurate, Polysorbate 60, Glyceryl Caprylate, Myristic Acid, Sodium Stearoyl Lactylate, Ascorbyl Palmitate, Ceramide AP, Sodium Hydroxide, Ceramide EOP, Cholesterol, Iodopropynyl Butylcarbamate, Disodium EDTA, Butylphenyl Methylpropional, Alpha-Isomethyl Ionone, Benzyl Salicylate, Limonene , Geraniol, Hexyl Cinnamal, Linalool, Citric Acid. 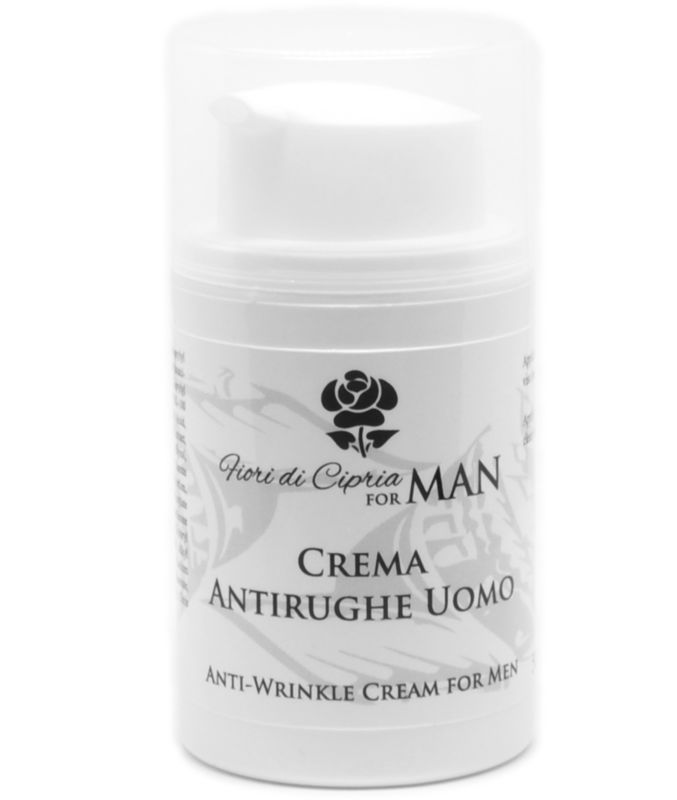 This anti-wrinkle cream for men by Fiori di Cipria is specifically designed for male skin. 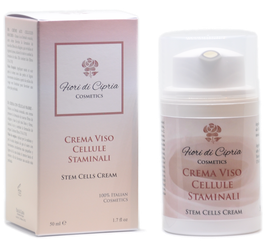 The moisturising properties of Hyaluronic Acid and the innovative extracts of Stem Cells prevent loss of skin firmness and keep it supple and toned. Aloe Vera, with its soothing and anti-inflammatory properties, helps skin feel strengthened after shaving, leaving it soft and firm. It is not greasy and it is quickly absorbed. Apply morning and evening on clean skin. Ideal for all skin types. Aqua, Caprylic/Capric Triglyceride, Dicaprylyl Ether, Pentylene Glycol, Nylon-12, Aluminum Starch Octenylsuccinate, Betaine, Alcohol Denat., Glyceryl Stearate, Caprylyl Methicone, Tocopheryl Acetate, Persea Gratissima Oil, PEG-100 Stearate, Panthenol, Aloe Barbadensis Leaf Juice, Stearic Acid, Sodium Hyaluronate, Syringa Vulgaris Leaf Cell Culture Extract, Creatine, Polyglyceryl-10 Pentastearate, Caprylyl Glycol, Hydroxyethyl Acrylate/Sodium Acryloyldimethyl Taurate Copolymer, Sodium Stearoyl Lactylate, Behenyl Alcohol, Parfum, Palmitic Acid, Phenoxyethanol, Acrylates/Palmeth-25 Acrylate Copolymer, Dipropylene Glycol, Dimethicone/Vinyl Dimethicone Crosspolymer, Ethylhexylglycerin, Maltodextrin, Glyceryl Caprylate, Polysorbate 60, Carbomer, Acrylates/C10-30 Alkyl Acrylate Crosspolymer, Myristic Acid, o-Cymen-5-ol, Sodium Hydroxide, Tropolone, Tetrasodium Glutamate Diacetate, Isohexadecane, Lecithin, Tocopherol, Ascorbyl Palmitate, Citric Acid. 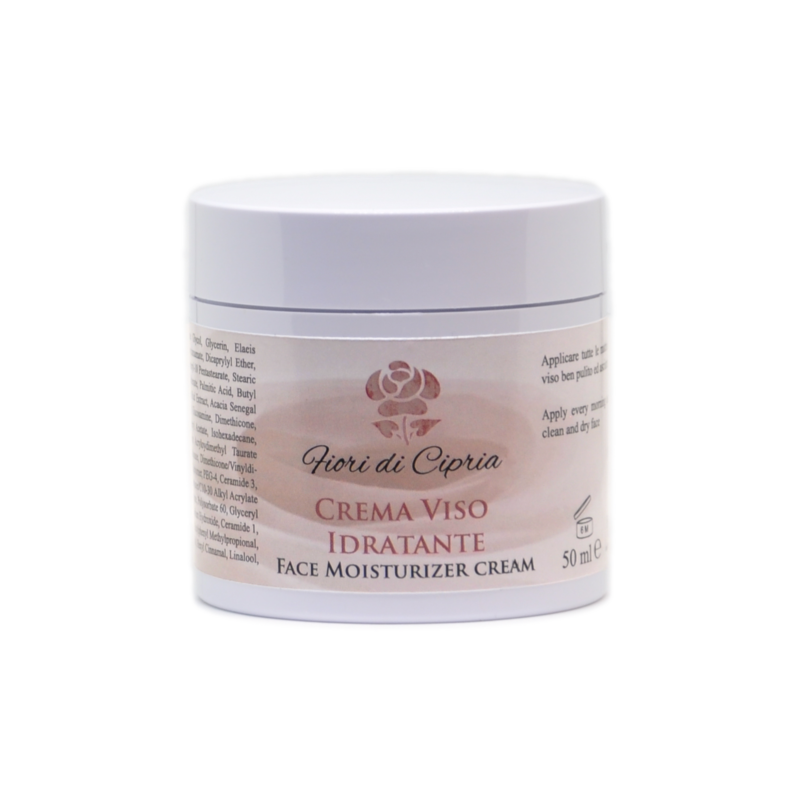 This cream contains hyaluronic acid, vitamins and antioxidants for an intense hydration and wrinkle-filling action. 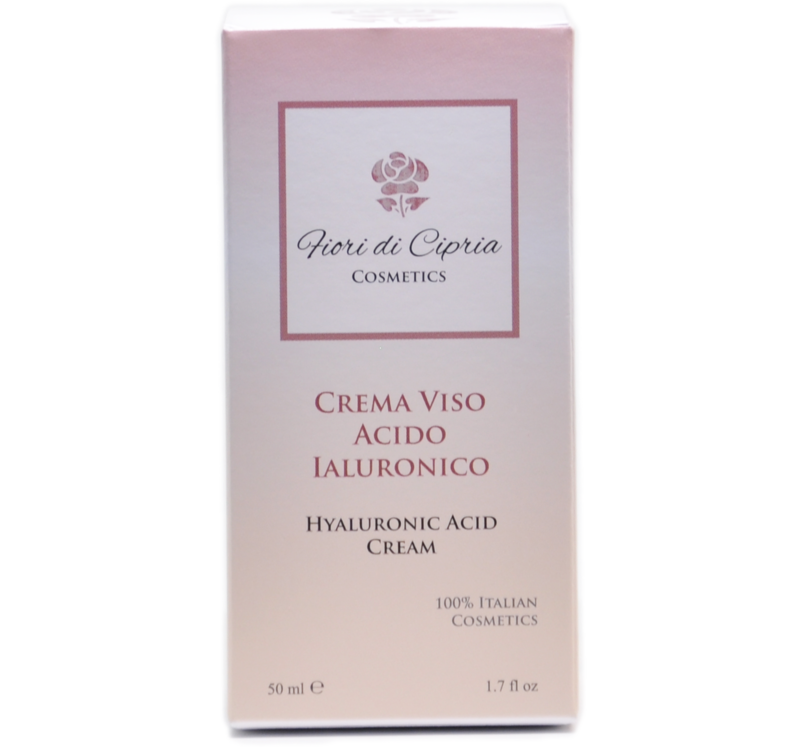 The hyaluronic acid, the active ingredient suitable for all skin types and ages, will make your skin look brighter and more relaxed from the first application. Apply morning and evening on clean and dry face. For a deeper action apply with circular movements from the inside to the outside of face. For intensive care we recommend the use of this product with the serum of the same brand. Aqua, Isodecyl Neopentanoate, Pentylene Glycol, Glycerin, Ethylhexyl Methoxycinnamate, C12-15 Alkyl Benzoate, Dicaprylyl Ether, Cyclopentasiloxane, Dimethiconol Behenate, Glyceryl Stearate, Arachidyl Alcohol, Octocrylene, Butyrospermum Parkii Butter, Acacia Seyal Gum Extract, Quercus Robur Root Extract, Fagus Sylvatica Bud Extract, Retinyl Palmitate, Creatine, Bifida Ferment Lysate, Butyl Methoxydibenzoylmethane, PEG-100 Stearate, Behenyl Alcohol, Arachidyl Glucoside, Ascorbyl Palmitate, Tocopheryl Acetate, Acetyl Tetrapeptide-9, Sodium Hyaluronate, Acetyl Glucosamine, Ethylhexyl Palmitate, Silica Dimethyl Silylate, Cyclohexasiloxane, Glycine Soya Oil, Butylene Glycol, Phenoxyethanol, Tocopherol, Lecithin, Propylene Glycol, Hydroxyethyl Acrylate/Sodium Acryloydimethyl Taurate Copolymer, Isohexadecane, Caprylyl Glycol, Polysorbate 60, Glyceryl Caprylate, Dipropylene Glycol, Acrylates/C10-30 Alkyl Acrylate Crosspolymer, Mannitol, Dimethicone/Vinyldimethicone Crosspolymer, Citric Acid, Dimethicone, Carbomer, Parfum, PEG-4, Iodopropynyl Butylcarbamate, PEG-4 Laurate, PEG-4 Dilaurate, Sodium Hydroxide, Disodium EDTA. 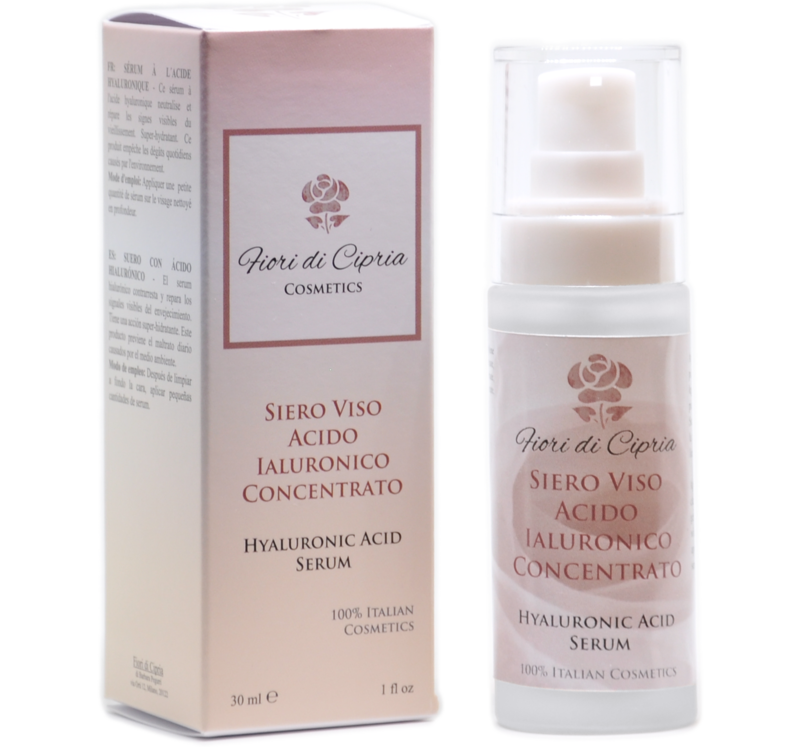 The hyaluronic acid serum neutralizes and repairs the visible signs of ageing and it is super-moisturising. 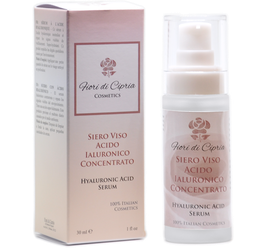 Hyaluronic acid blocks the dehydration in order to create the necessary conditions for the self-repair processes of the skin. 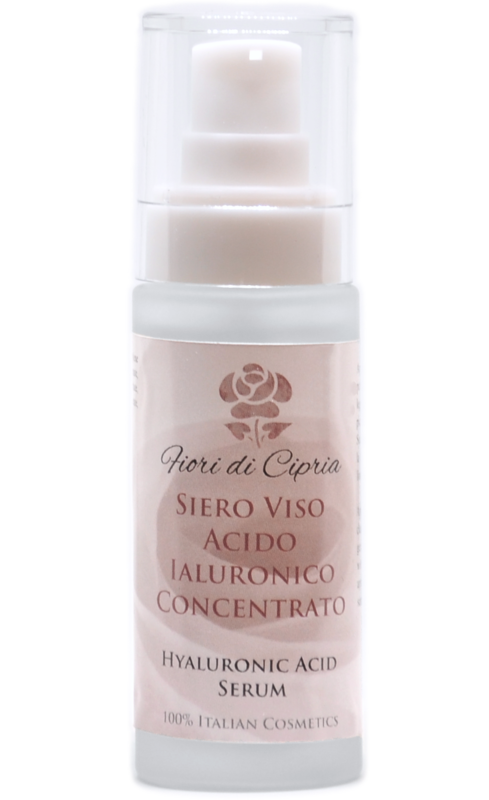 This product protects your skin from the daily environmental aggressors. After 2 weeks, 84% of our customers found that their skin looked brighter, with a clear fills of the lines and facial wrinkles. Apply small amounts of serum on clean face. Once absorbed, apply the facial cream. 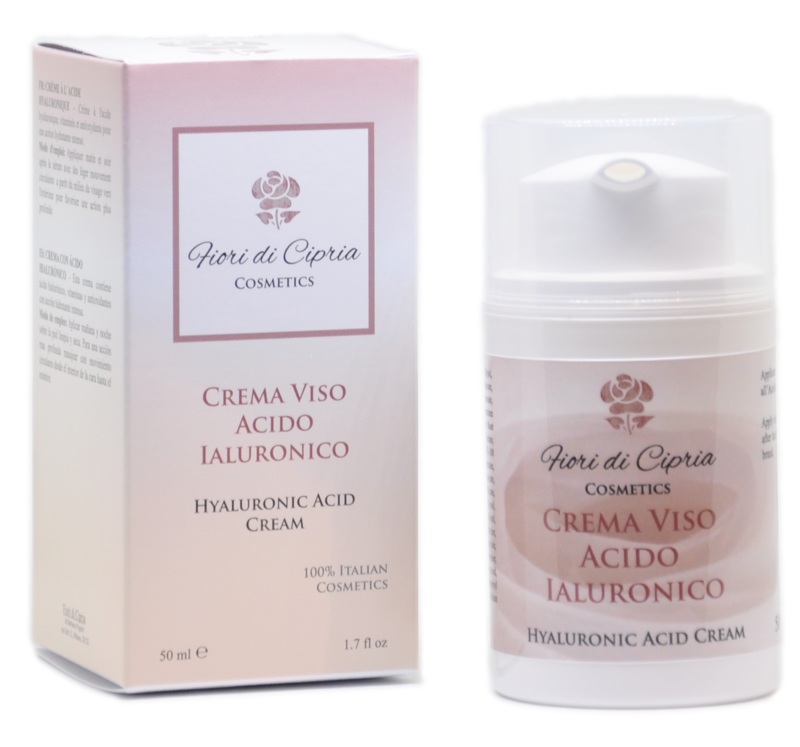 For optimal results,we recommend the use of the face cream with hyaluronic acid of the same brand. Aqua, Pentylene Glycol, Sodium Hyaluronate, Phenoxyethanol, Potassium Sorbate, Tetrasodium Glutamate Diacetate, Citric Acid. 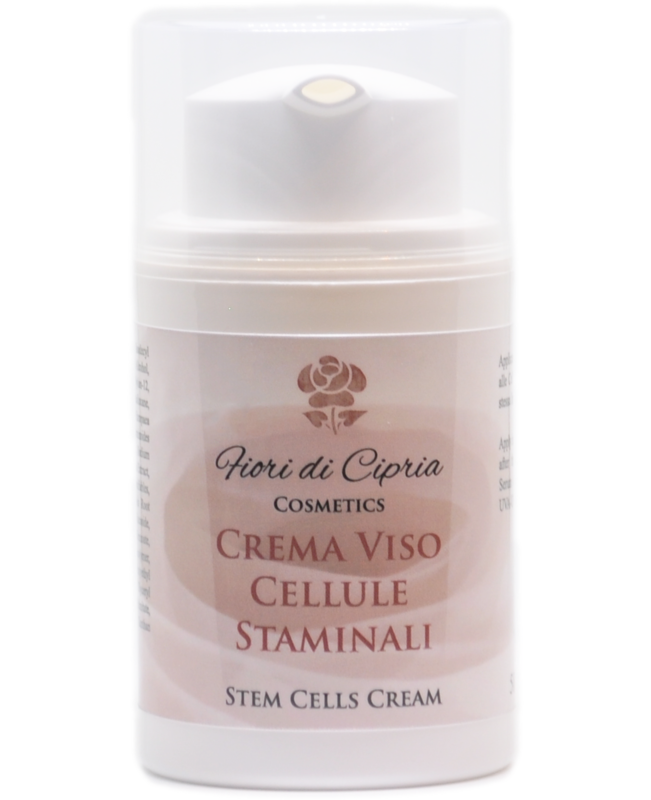 Stem cells are special cells of botanical origin, rich in active ingredients with revitalizing and renewing activities. 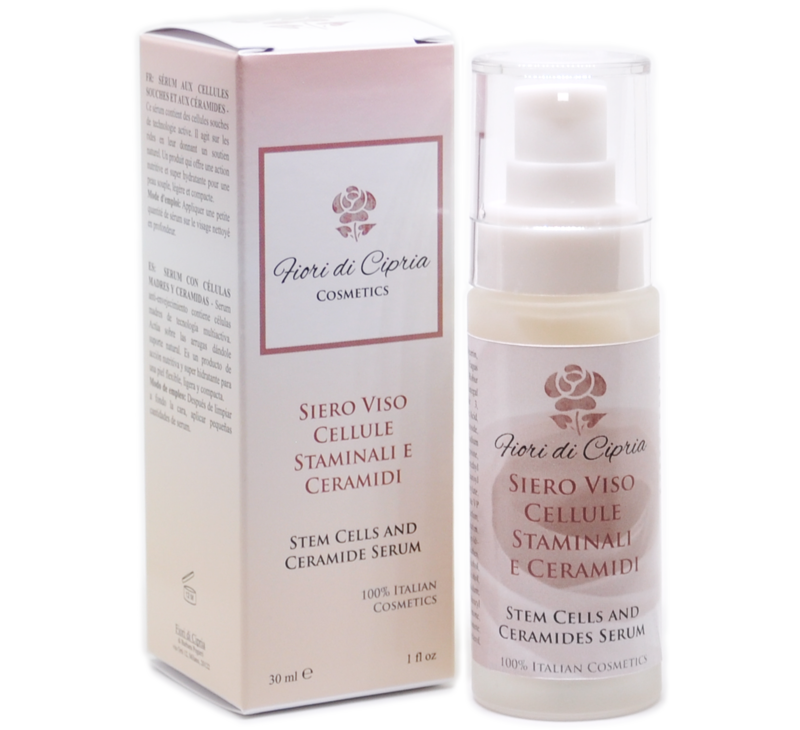 Its advanced formula boosts the collagen production leaving you with a firmer, plumper and brighter complexion. 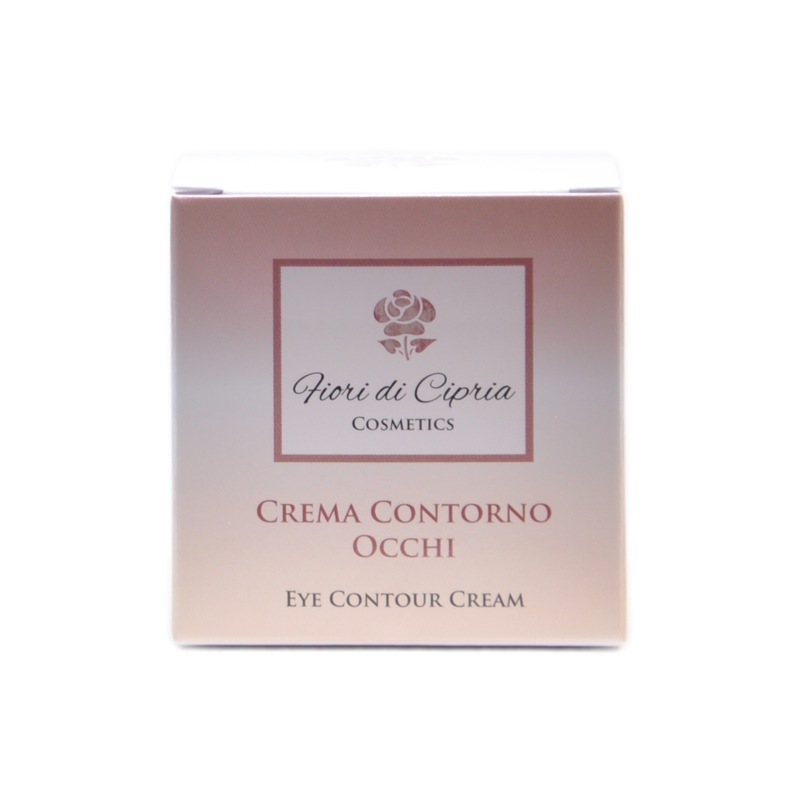 It helps prevent wrinkles and contains UVA-UVB protection. Apply morning and evening on clean and dry face. For a deeper action apply with circular movements from the inside to the outside of the face. 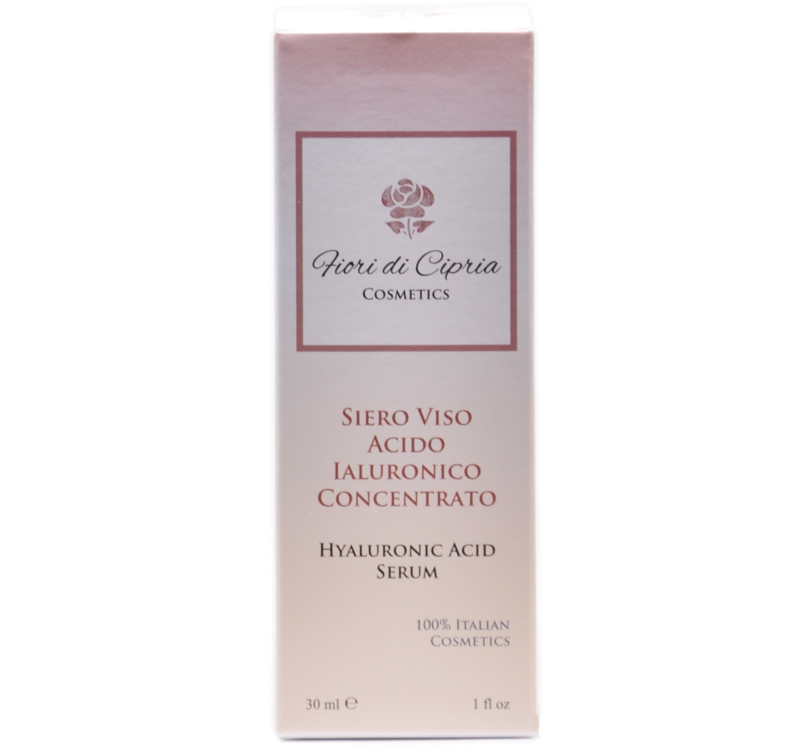 For optimal results, we recommend the use of this product with the serum of the same brand. Aqua, Glycerin, Glyceryl Stearate, Isodecyl Neopentanoate, Ethylhexyl Methoxycinnamate, Arachidyl Alcohol, Triethylhexanoin, Tocopheryl Acetate, Cocoglycerides, Nylon-12, Behenyl Alcohol, Sodium Stearoyl Lactylate, Cyclopentasiloxane, Sodium Ascorbyl Phosphate (Vitamin C Phosphate), Olea Europaea Fruit Oil, Quercus Robur Root Extract, Gardenia Jasminoides Meristem Cell Culture, Fagus Sylvatica Bud Extract, Sodium Hyaluronate, Hydrogenated Olive Oil, Saxifraga Sarmentosa Extract, Vitis Vinifera Fruit Extract, Olea Europaea Oil Unsaponifiables, Pentaerythrityl Distearate, Parfum, Scutellaria Baicalensis Root Extract, Morus Alba Root Extract, Arachidyl Glucoside, Cyclohexasiloxane, Diethylamino Hydroxybenzoyl Hexyl Benzoate, Phenoxyethanol, Dimethicone/Vinyl Dimethicone Crosspolymer, Butylene Glycol, Dimethicone, Caprylyl Glycol, Hydroxyethyl Acrylate/Sodium Acryloyldimethyl Taurate Copolymer, Glyceryl Caprylate, Lecithin, Tocopherol, Ascorbyl Palmitate, Ethylhexylglycerin, Dipropylene Glycol, o-Cymen-5-ol, Xanthan Gum, Disodium EDTA, Citric Acid. 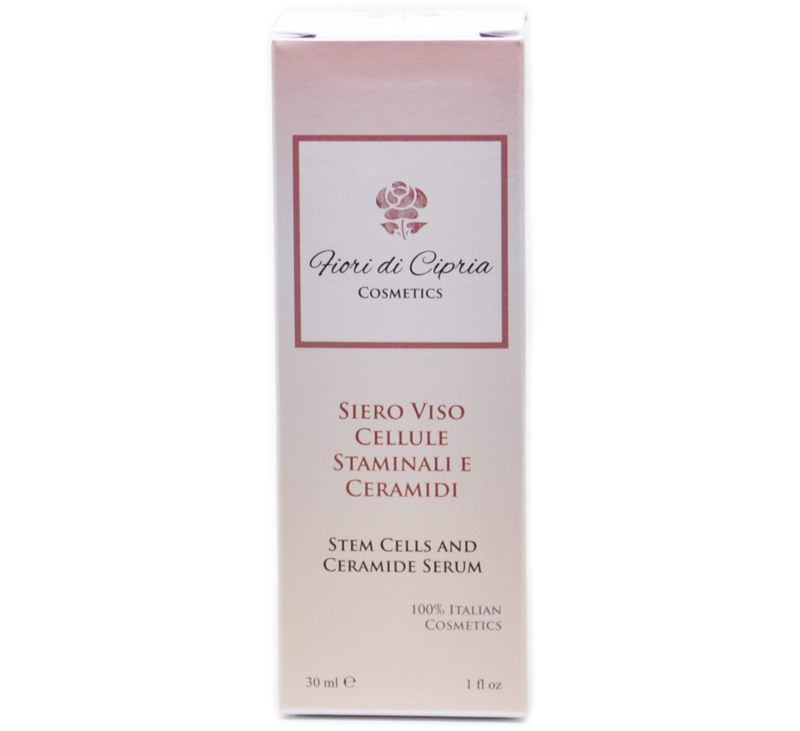 This anti-ageing serum contains multi-active technology Stem Cells that enhance skin rejuvenation by boosting the natural collagen production in synergy with hyaluronic acid that offers intensive hydration. 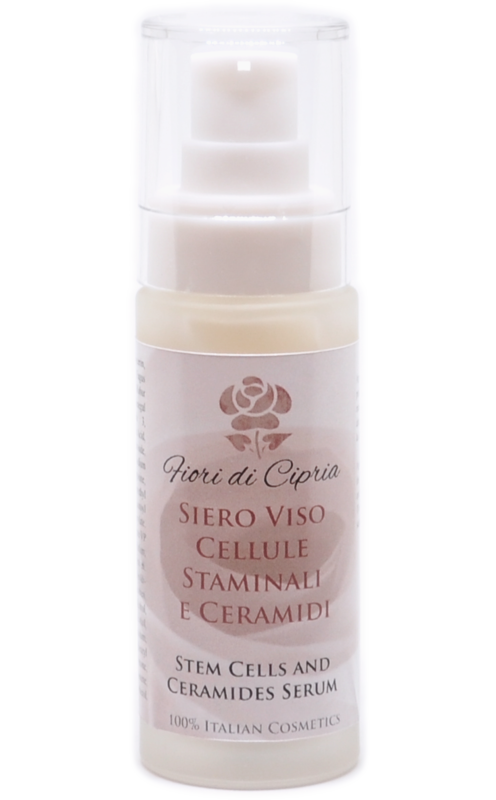 It gives a better natural dermal support by having an effect on the wrinkles. 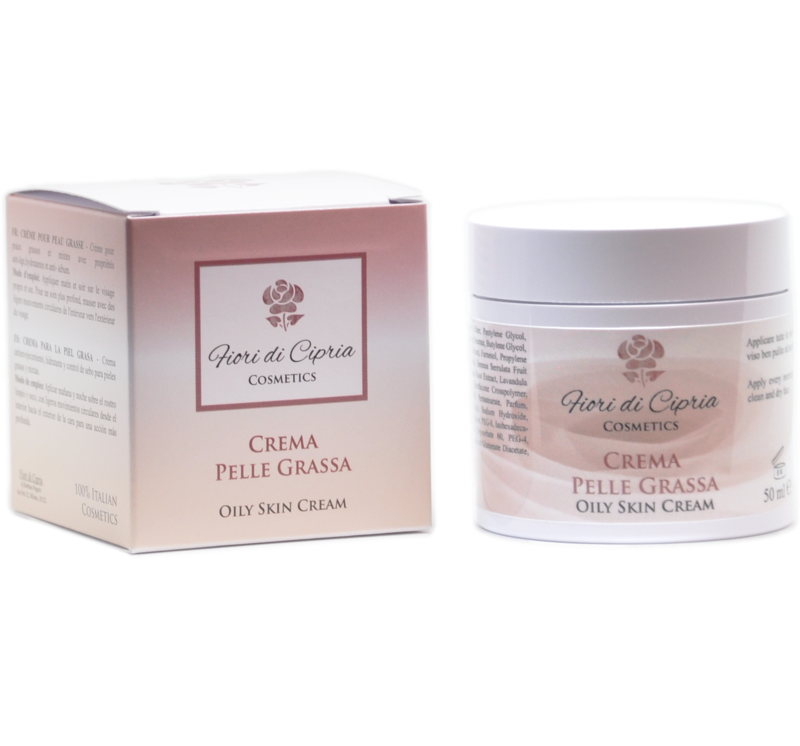 A multi-action super nutritious and super moisturiser product for an elastic, bright and firm skin. 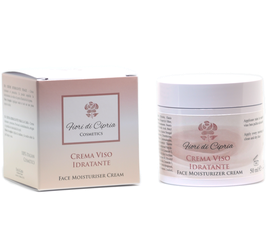 It is suitable for skin that needs to quickly react to the visible signs left by periods of stress or hormonal imbalances caused by menopause. After 2 weeks, the 78% of our customers found that their skin looked brighter, with a clear fill of the lines and facial wrinkles. 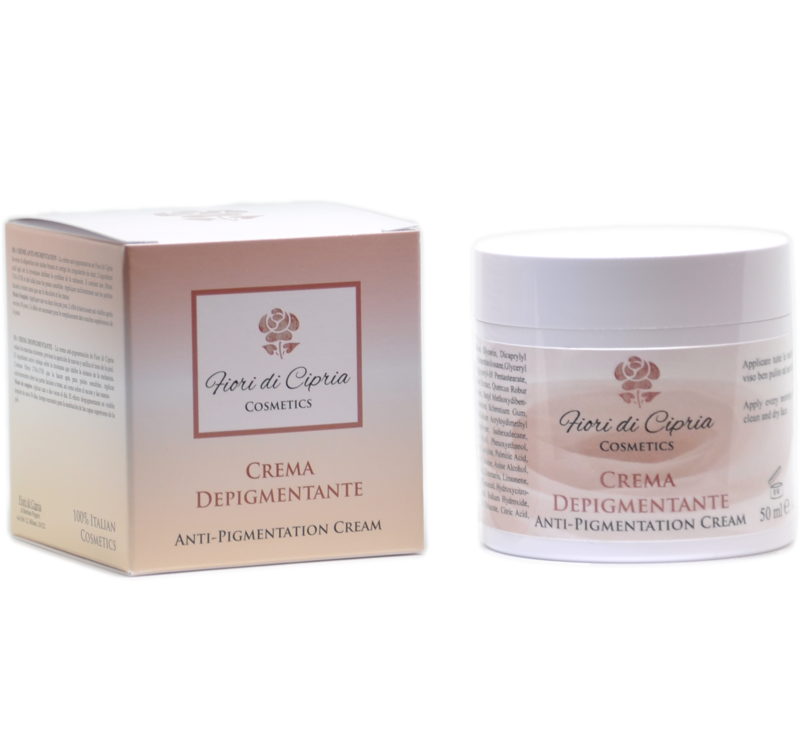 Ideal for all skin types and complexions. Apply a small amount of serum on the clean face. Once absorbed, apply the facial cream. 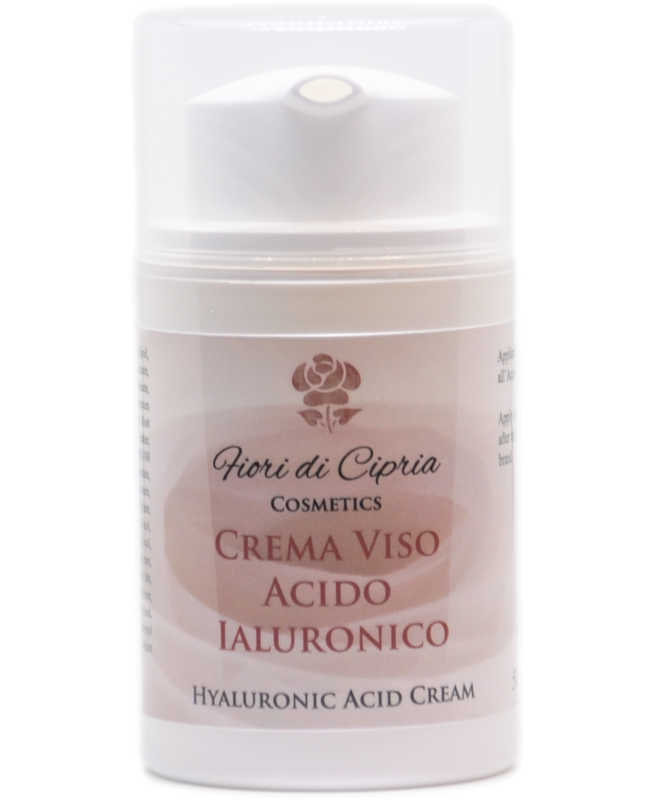 For more intensive care, we recommend the use of the facial cream with hyaluronic acid of the same brand. Aqua, Glycerin, Cyclopentasiloxane, Lecithin, Fagus Sylvatica Bud Extract, Quercus Robur Root Extract, Acacia Seyal Gum Extract, Ceramide NP, Ceramide AP, Ceramide EOP, Linoleic Acid, Linolenic Acid, Polymethyl Methacrylate, Sodium Hyaluronate, Phytosphingosine, Cholesterol, Sodium Carboxymethyl Beta-glucan, Glycine, Sodium Lauroyl Lactylate, Glyceryl Polyacrylate, Ammonium Acryloyldimethyltaurate/VP Copolymer, Propylene Glycol, Parfum, Methylparaben, Ethylparaben, Dimethicone/Vinyldimethicone Crosspolymer, Cyclohexasiloxane, Xanthan Gum, Carbomer, Alcohol, Phenoxyethanol, Benzyl Alcohol, o-Cymen-5-ol, Paraffinum Liquidum, Butylphenyl Methylpropional, Benzyl Salicylate, Alpha-Isomethyl Ionone, Geraniol, Hexyl Cinnamal, Limonene, Linalool, Sodium Hydroxide, Ascorbyl Palmitate, Tocopherol, BHT, Disodium EDTA, Citric Acid. 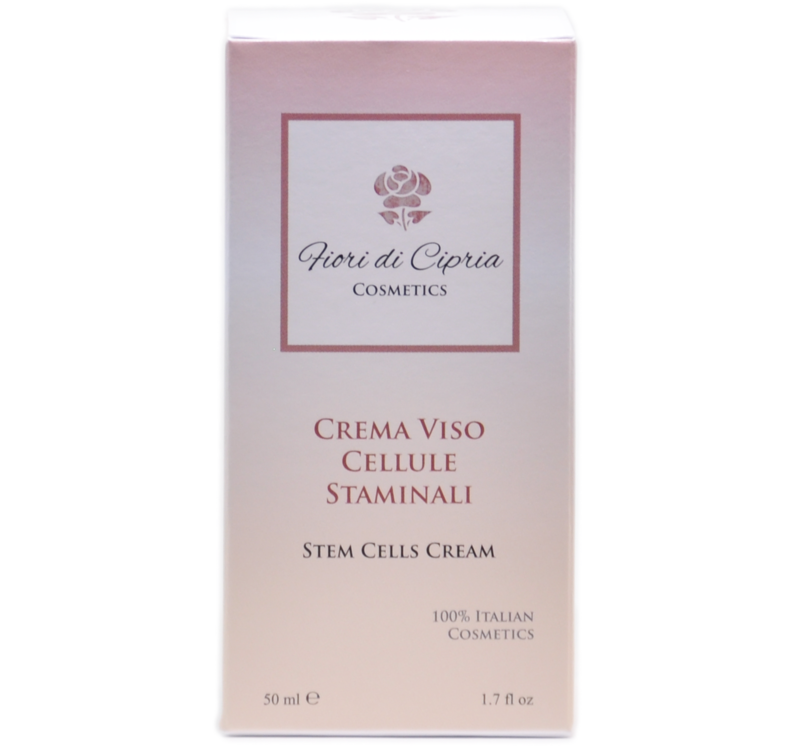 A highly moisturising and anti-wrinkle cream with hyaluronic acid specially created to boost the renovation process of the skin cells in the lips and eye contour area. 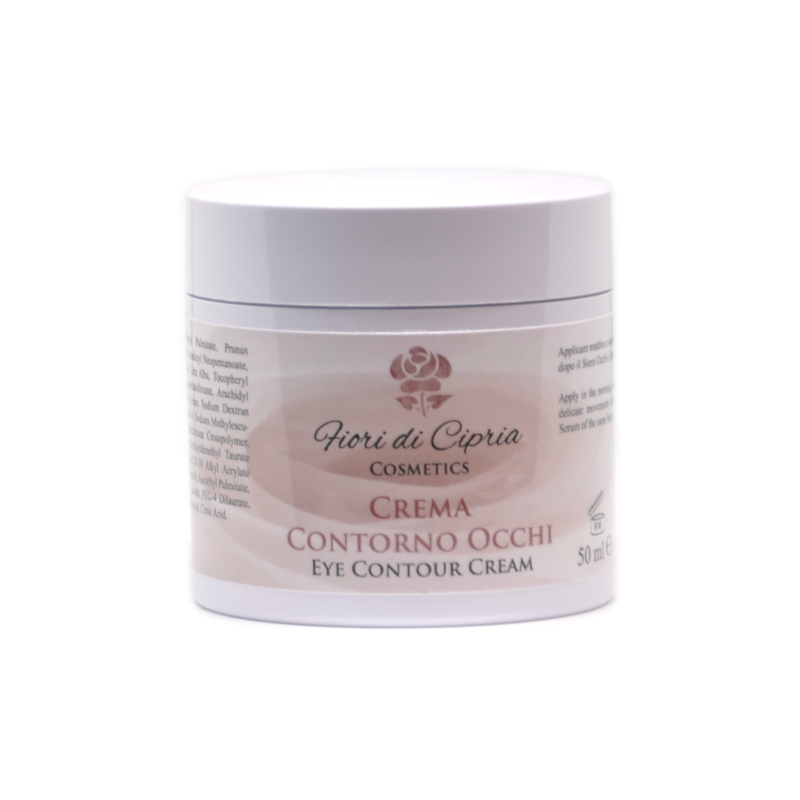 It helps preventing wrinkles and bags under the eyes and it is the perfect base for a more lasting make-up. Together with the Eye serum, it is the ideal cure and prevention for tired eyes by PC screen, phone or any sort of screen. Apply every morning and evening on clean and dry face. For a deeper action apply with circular movements from the inside to the outside of the face. 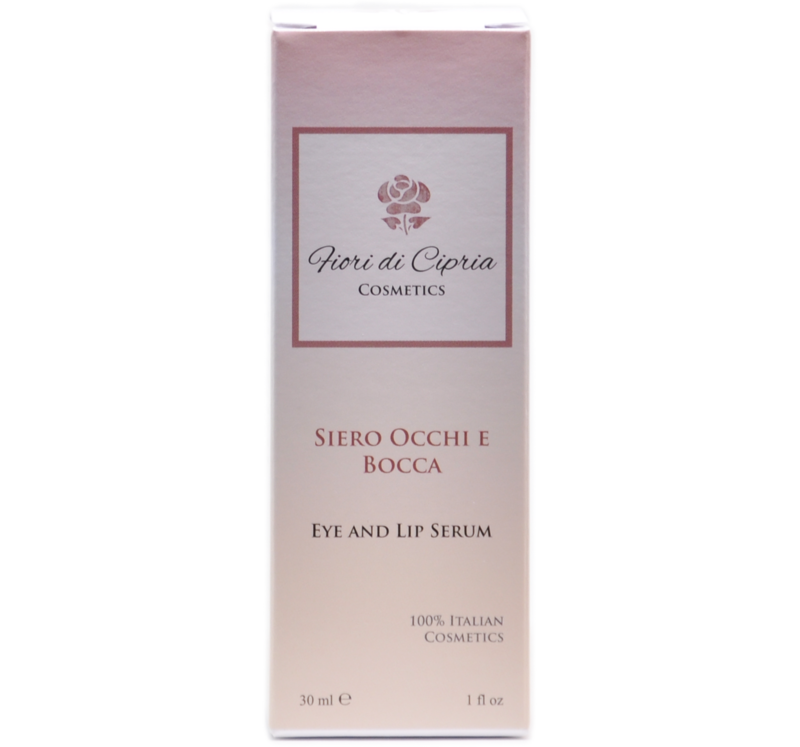 For an optimal results, we recommend to use this product with the serum of the same brand. Aqua, Cetearyl Isononanoate, Ethylhexyl Palmitate, Prunus Amygdalus Dulcis Oil, Glyceryl Stearate, Pentylene Glycol, Isodecyl Neopentanoate, PEG-100 Stearate, Butyrospermum Parkii Butter, Glycerin, Cera Alba, Tocopheryl Acetate, Dimethiconol Behenate, Cetearyl Alcohol, Cyclopentasiloxane, Arachidyl Alcohol, Cyclohexasiloxane, Sodium Hyaluronate, Lauroyl Lysine, Sodium Dextran Sulfate, Behenyl Alcohol, Caprylyl Glycol, Acetyl Tetrapeptide-9, Sodium Methylesculetin Acetate, Arachidyl Glucoside, Dimethicone/Vinyl Dimethicone Crosspolymer, Parfum, Phenoxyethanol, Hydroxyethyl Acrylate/Sodium Acryloyldimethyl Taurate Copolymer, Isohexadecane, Dipropylene Glycol, Acrylates/C10-30 Alkyl Acrylate Crosspolymer, Carbomer, Glyceryl Caprylate, Lecithin, Tocopherol, Ascorbyl Palmitate, Sodium Hydroxide, Iodopropynyl Butylcarbamate, PEG-4 Laurate, PEG-4 Dilaurate, Tetrasodium Glutamate Diacetate, PEG-4, Polysorbate 60, Mannitol, Citric Acid. 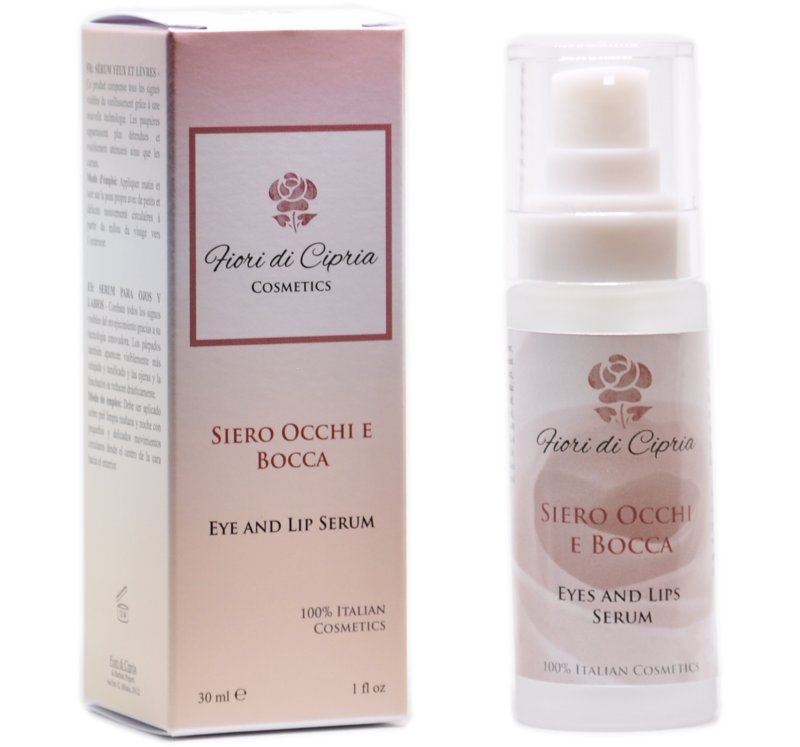 A rejuvenating product that transforms all signs of ageing thanks to its innovative technology that promotes a complete renewal of the skin cells in the lips and eye contour area. After 2 weeks, facial lines and wrinkles appear greatly improved. The eyelids look more relaxed and visibly toned. 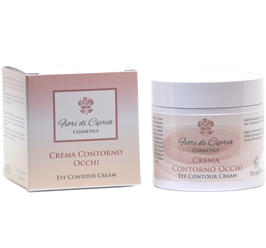 The dark circles and puffiness under the eyes reduced. 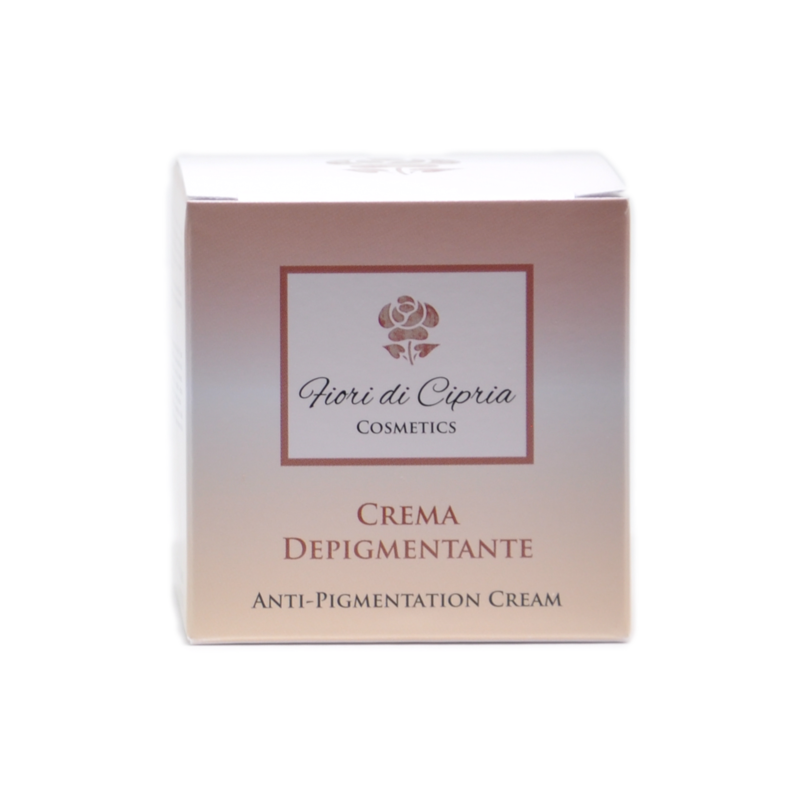 Ideal for all skin types and complexions. 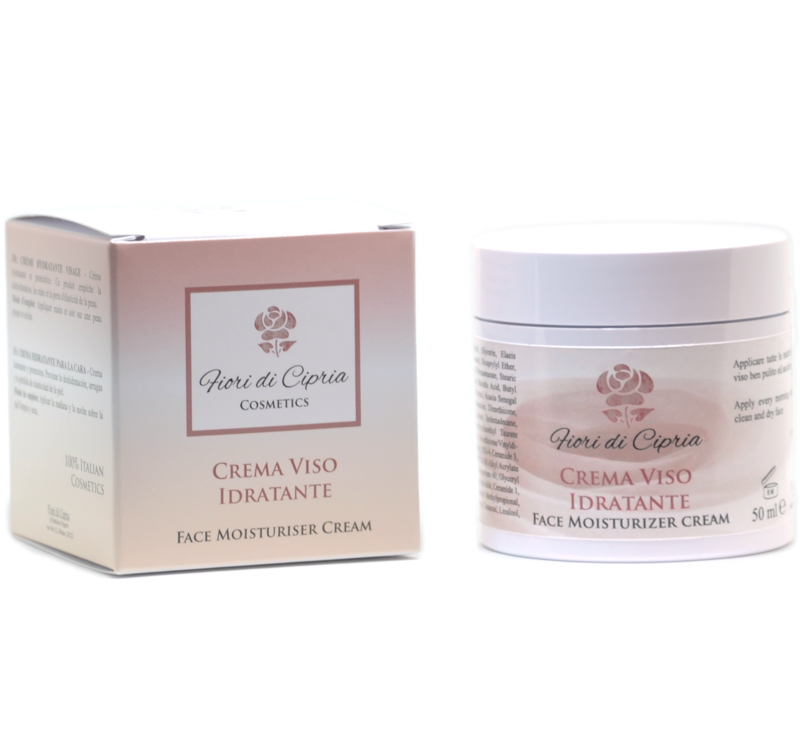 Apply morning and evening on clean face with small and delicate circular movements from the centre to the outside of the face. Once absorbed, apply the cream. 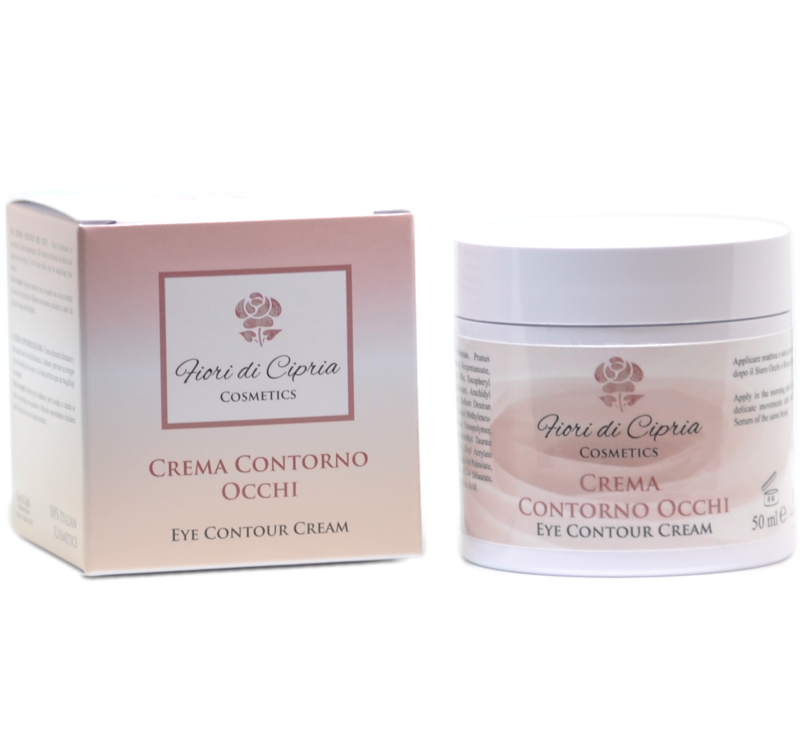 For optimal care, we recommend the use of the eye cream of the same brand. Aqua, Glycerin, Sodium Hyaluronate, Bifida Ferment Lysate, Acacia Seyal Gum Extract, Acrylates/C10-30 Alkyl Acrylate Crosspolymer, Caprylyl Glycol, Phenoxyethanol, Dipropylene Glycol, Glyceryl Caprylate, PEG-40 Hydrogenated Castor Oil, PEG-4 Dilaurate, PPG-26-Buteth-26, Propylene Glycol, PEG-4, Sodium Hydroxide, Iodopropynyl Butylcarbamate, PEG-4 Laurate. Anti-pigmentation cream by Fiori di Cipria reduces and prevents dark spots and uneven skin tone. 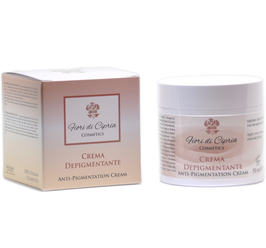 The active ingredient works on Tyrosinase inhibiting the synthesis of melanin. 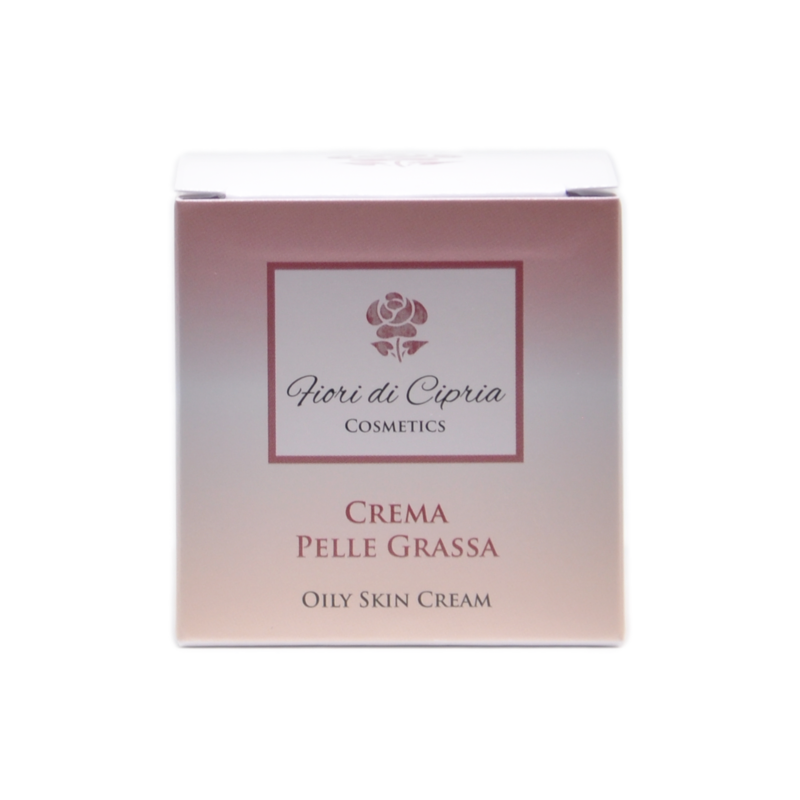 It contains UVA-UVB filters which makes it suitable for sensitive skin. Apply evenly on the facial parts to be treated as well as on décolleté and hands. The first results will be visible after about 30 days. This is the necessary time-lapse for the replacement of the upper layers of the skin. Apply once or twice a day. The lightening effect is visible after about 30 days. This is the necessary time-lapse for the replacement of the upper layers of the skin. Aqua, Isodecyl Neopentanoate, Pentylene Glycol, Glycerin, Dicaprylyl Ether, Ethylhexyl Methoxycinnamate, C12-15 Alkyl Benzoate, Cyclopentasiloxane,Glyceryl Stearate, C12-13 Alkyl Lactate, Niacinamide, Octocrylene, Polyglyceryl-10 Pentastearate, Behenyl Alcohol, PEG-100 Stearate, Acacia Seyal Gum Extract, Quercus Robur Root Extract, Glycyrrhiza Glabra Root Extract, Aspergillus Ferment, Butyl Methoxydibenzoylmethane, 1-Methylhydantoin-2-Imide, Biotin, Acetyl Glucosamine, Sclerotium Gum, Dimethiconol Behenate, Stearic Acid, Hydroxyethyl Acrylate/Sodium Acryloydimethyl Taurate Copolymer, Acrylates/C10-30 Alkyl Acrylate Crosspolymer, Isohexadecane, Dimethicone, Polysorbate 60, Caprylyl Glycol, Propylene Glycol, Phenoxyethanol, Dipropylene Glycol, Glyceryl Caprylate, Parfum, Sodium Stearoyl Lactylate, Palmitic Acid, Cyclohexasiloxane, Butylphenyl Methylpropional, Alpha-Isomethyl Ionone, Anise Alcohol, Benzyl Benzoate, Benzyl Salicylate, Cinnamyl Alcohol , Citronellol, Coumarin, Limonene, Geraniol, Hexyl Cinnamal, Hydroxycitronellal, Linalool, Myristic Acid, Tocopheryl Acetate, Ethoxydiglycol, Sodium Hydroxide, PEG-4 Laurate, Tocopherol, Lecithin, Ascorbyl Palmitate, PEG-4 Dilaurate, Citric Acid, PEG-4, Iodopropynyl Butylcarbamate, Disodium EDTA. 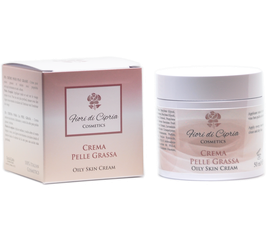 Anti-ageing, moisturising and oil control cream for oily and combination skin. Absorbent active ingredients combined with balancing properties help reduce the production of sebum, giving the skin an anti-shine that lasts for the entire day. 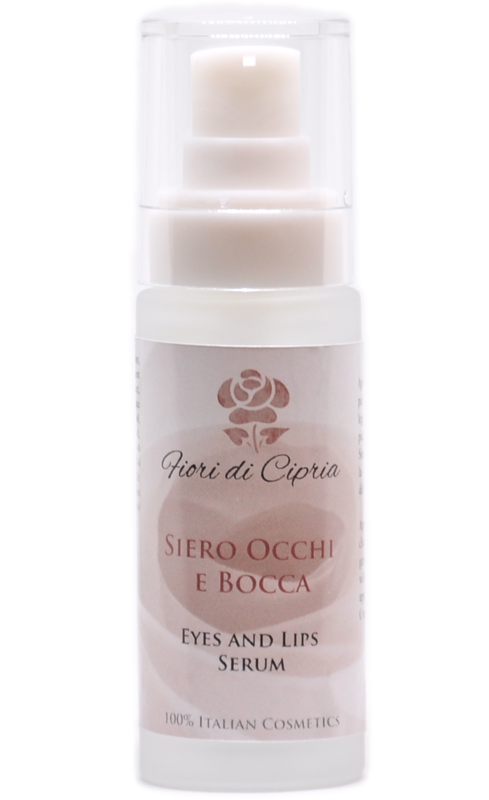 Apply morning and evening on clean and dry face with light circular movements from the inside to the outside of the face for a deeper action. Great for use under make-up. Aqua, Nylon-12, Alcohol Denat., Dicaprylyl Ether, Pentylene Glycol, Aluminum Starch Octenylsuccinate, Caprylyl Methicone, Glyceryl Stearate, Butylene Glycol, Betaine, C12-13 Alkyl Lactate, Panthenol, Larrea Divaricata Extract, Farnesol, Propylene Glycol, Bisabolol, Behenyl Alcohol, Stearic Acid, Palmitic Acid, Serenoa Serrulata Fruit Extract, Sodium Hyaluronate, PEG-100 Stearate, Arctium Lappa Root Extract, Lavandula Angustifolia Flower Extract, Carbomer, Dimethicone/Vinyl Dimethicone Crosspolymer, Sodium Stearoyl Lactylate, Phenoxyethanol, Polyglyceryl-10 Pentastearate, Parfum, Acrylates/C10-30 Alkyl Acrylate Crosspolymer, Myristic Acid, Sodium Hydroxide, Hydroxyethyl Acrylate/Sodium Acryloyldimethyl Taurate Copolymer, PEG-8, Isohexadecane, Tocopheryl Acetate, PEG-4 Laurate, PEG-4 Dilaurate, Polysorbate 60, PEG-4, Iodopropynyl Butylcarbamate, Alpha-Isomethyl Ionone, Tetrasodium Glutamate Diacetate, Limonene, Eugenol. Foaming facial cleanser for daily use, even for very sensitive skins. Emulsifiers and Vitamin C, the key ingredients of the new Mousse Delicate Fiori di Cipria, have high cleaning properties in an eco-friendly dispenser without gas. Thoroughly clean the skin before using facial products to allow the full absorption of their active ingredients. 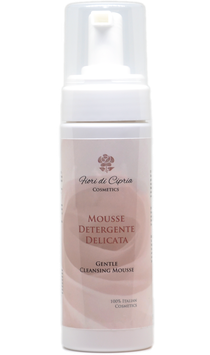 The delicate mousse cleans the skin and gently removes make-up, residue, smog and debris without altering the physiology of the skin leaving it perfectly clean and soft. Gently massage onto damp skin for a few seconds, then rinse. Aqua, Propylene Glycol, Glycerin, Sodium Laureth Sulfate, Polysorbate 20, PEG-200 Hydrogenated Glyceryl Palmate, Cocamidopropyl Betaine, Aloe Barbadensis Leaf Juice, PEG-7 Glyceryl Cocoate, Mandelic Acid, Ferulic Acid, Buddleja Davidii Meristem Cell Culture, Litchi Chinensis Pericarp Extract, Sodium Cocoyl Hydrolyzed Wheat Protein, Phenoxyethanol, Parfum, Potassium Sorbate, Chlorphenesin, Ethylhexylglycerin, Sodium Citrate, Butylene Glycol, Disodium EDTA, Xanthan Gum, Citric Acid.